Anyone who dedicates their CBE to their dog is obviously barking about their pet. But Jilly Cooper is so reluctant to be parted from hers she hasn’t taken a holiday abroad in more than 20 years. 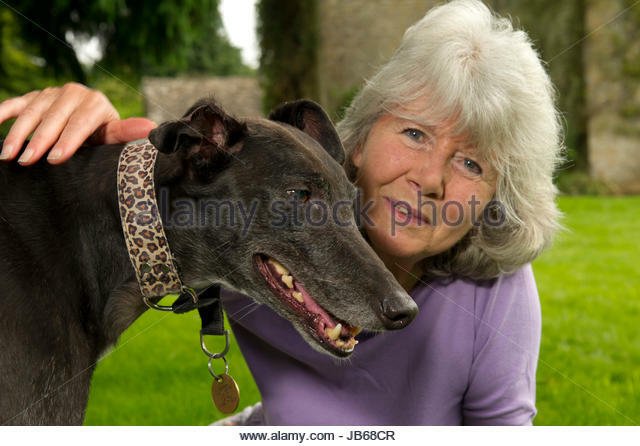 The author says she cannot bear to leave behind her rescue greyhound, Bluebell. The 81-year-old has had the dog since 2010 and has described her as her ‘dearest companion’ since the death of her husband from Parkinson’s disease five years ago. She told Woman & Home magazine: ‘I haven’t been on holiday for about 22 years – it’s ridiculous but I can’t bear to leave Bluebell. ‘But Gloucestershire is so beautiful in the summer, I don’t want to go away. The best-selling author, who has used storylines to highlight the issue of animal abuse, was awarded a CBE last year for her services to literature and animal welfare. After receiving the gong she decided to dedicate it to her beloved greyhound, saying the honour made her a ‘Commander of Bluebell’s Empire’.